How can management be developed to create the greatest wealth for society as a whole? This is the question Peter Drucker sets out to answer in Innovation and Entrepreneurship. A brilliant, mould-breaking attack on management orthodoxy it is one of Drucker’s most important books, offering an excellent overview of some of his main ideas. He argues that what defines an entrepreneur is their attitude to change: ‘the entrepreneur always searches for change, responds to it and exploits it as an opportunity’. 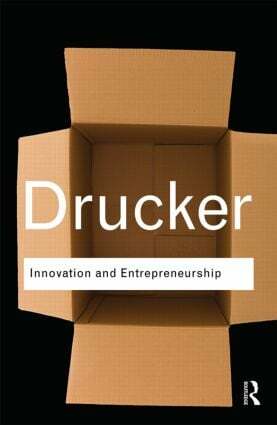 To exploit change, according to Drucker, is to innovate. Stressing the importance of low-tech entrepreneurship, the challenge of balancing technological possibilities with limited resources, and the organisation as a learning organism, he concludes with a vision of an entrepreneurial society where individuals increasingly take responsibility for their own learning and careers.